NA Hibberts. Balding hair follicle dermal papilla cells contain higher levels of androgen receptors than those from non-balding scalp. 1998 Jan;156(1):59-65. 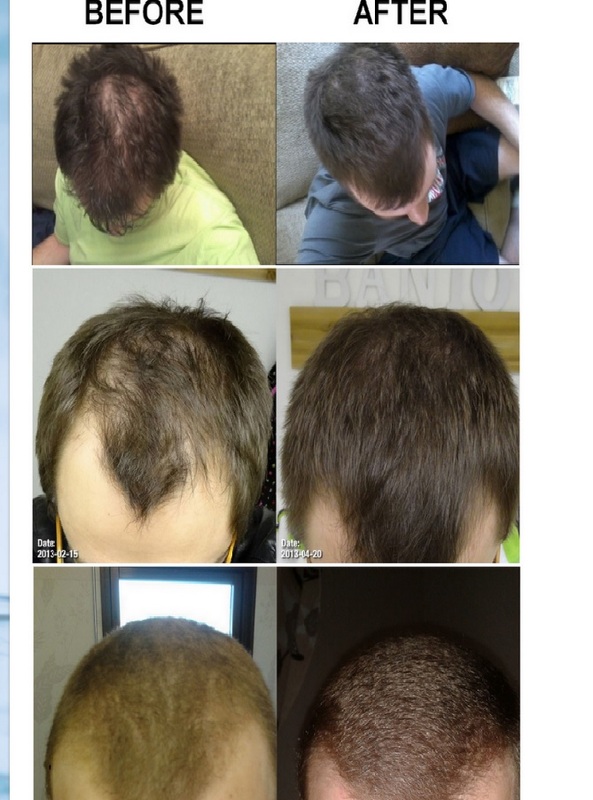 SAWAYA ME: RU-58841 a new therapeutic agent affecting androgen receptor molecular interactions in human hair follicles. Hair research for the next millennium. (1996) 355-358. 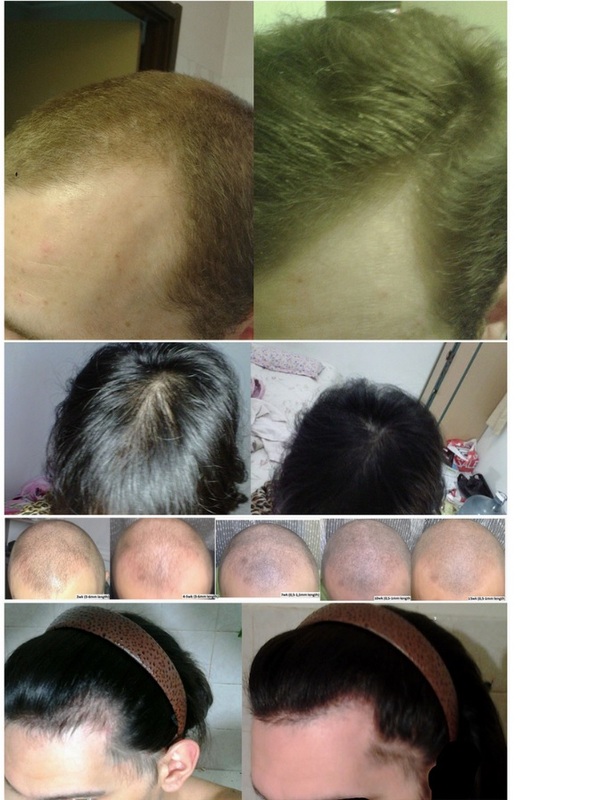 IMAMURA K, BONFILS A, DIANI A, UNO H: The effect of topical RU58841 (androgen receptor blocker) combined with minoxidil on hair growth in macaque. J. Invest. Dermatol. 1998)110:679. PAN HJ, WILDING G, UNO H et al. Evaluation of RU-58841 as an antiandrogen in prostate pc3 cells and a topical anti-alopecia agent in the bald scalp of stumptailed macaques. Endocrine (1998) 9:39-43. BATTMAN T, BONFILS A, BRANCHE C et al. : RU-58841, a new specific topical antiandrogen: a candidate of choice for the treatment of acne, androgenetic alopecia and hirsutism. 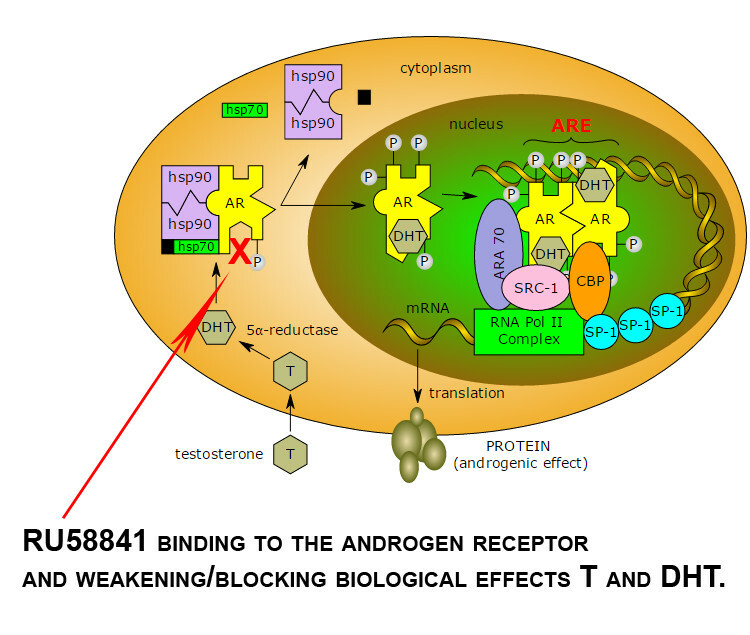 J. Steroid Biochem. Mol. Biol. (1994) 48:55-60.